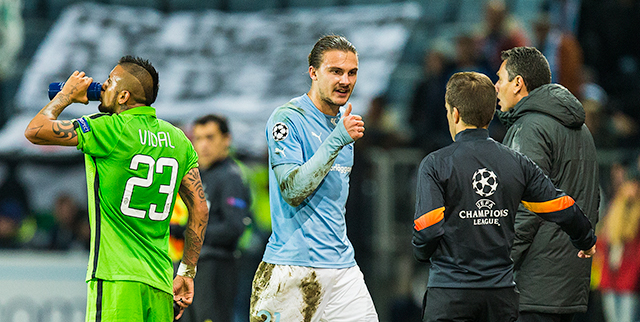 Pictures from Malmö FF’s match against Juventus FC in the UEFA Champions League on Wednesday the 26th of November, 2014. The cat’s out the bag! 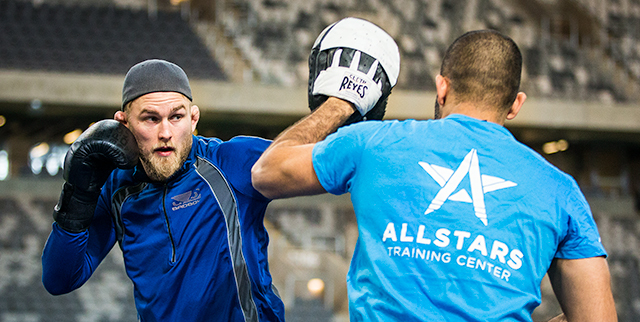 The Mauler is returning to the Octagon. Pictures from the UFC’s press conference announcing the Gustafsson-Johnson fight at Tele2 Arena on January 24th, 2015. 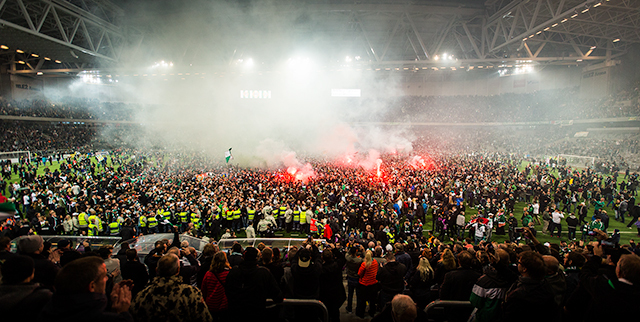 Pictures from the final Superettan match of the 2014 season where Hammarby IF secured promotion into the top division Allsvenskan. 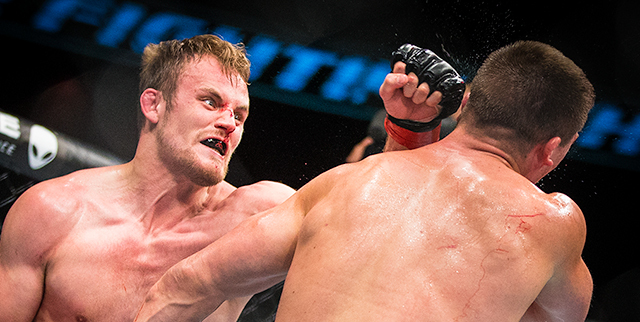 Pictures from UFC Fight Night held at the Ericsson Globe on Saturday October 4th 2014. 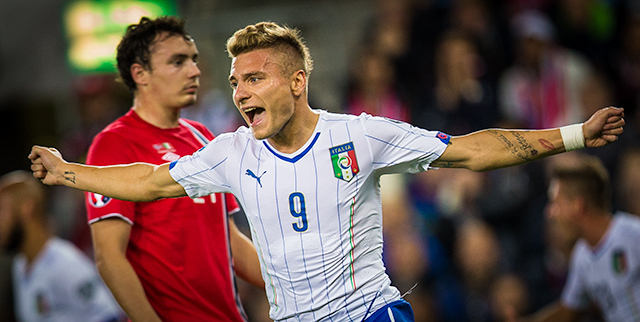 Pictures from Italy’s UEFA Euro qualification match against Norway, played at Ullevaal Stadium in Oslo, Norway on September 9th 2014. Pictures from the Azzurri’s training session and Antonio Conte’s press conference at Ullevaal Stadium ahead of their Euro qualification clash with Norway. One from the derby between AIK and Djurgårdens IF played on Wednesday August 13th, 2014 at Friends Arena in Stockholm, Sweden. Pictures from a UEFA Europa League qualification match between AIK and FC Astana held at Friends Arena in Stockholm on August 7th, 2014. Pictures from an Allsvenskan match between Djurgårdens IF and Helsingborgs IF played on August 4th, 2014 at Tele2 Arena in Stockholm. Pictures from the Europa League qualification match between IF Brommapojkarna and Torino FC held at Tele2 Arena on July 31st 2014. Pictures from an Allsvenskan match between AIK and Falkenbergs FF held on Monday July 28th 2014 at Friends Arena in Stockholm, Sweden. Both Sunday and Monday evening at Tele2 Arena. First covering Hammarby IF against Östers IF and then Djurgårdens IF taking on BK Häcken.